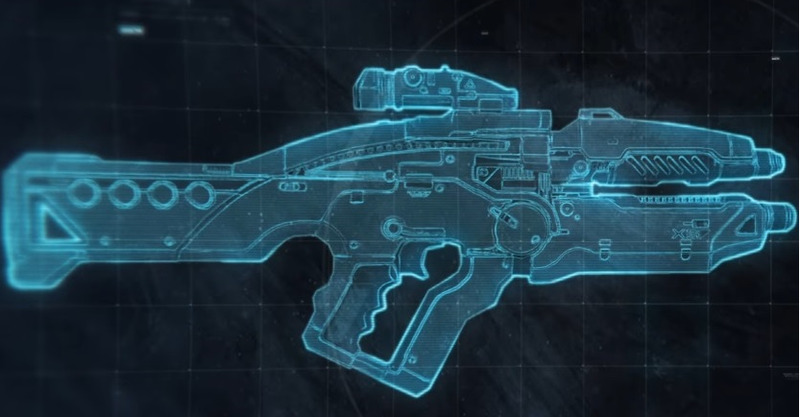 Weapons in Mass Effect Andromeda are an important tactical choice for players and each of the weapon classes have situational application. Weapons can be acquired at Merchants, as rewards for Missions, or through Crafting. They can be improved by weapon upgrades called Weapon Mods. Weapons can now be given custom names and Melee Weapons have their own dedicated slot. You apply different Ammunition types in missions as a consumable item and not as a power like ME2 or 3, and not as a weapon mod like ME1. From in-depth analysis of the newest gameplay trailer we can see that there is no weapon type restrictions any more. Instead you share weapon slots with your ammo consumables and can equip more than one of a single weapon type. If you want to get in close, you can focus on Melee Weapons, Shotguns, and Pistols. If you prefer to shoot while on the move while maintaining your distance, Assault Rifles will be your weapons of choice. Or, if you like to hang back and pick off enemies one-by-one, Sniper Rifles will be the way to go. For melee options, hammers do maximum damage, while lightning-fast shivs or swords allow you to get in and out of harm’s way with speed and precision. There are no class restrictions on weapons, so trying something new is as easy as switching your loadout. Milky Way weapons typically use physical ammunition that’s similar to the types of weapons you might be familiar with from the previous three games – with some advancements, of course. These are high-impact, projectile-based guns; they’re great against most non-shielded targets, but require you to keep an eye on your ammo. Heleus weapons are from the Andromeda Galaxy and are generally plasma-based, which means they benefit from heat-seeking technology. Some other Heleus weapons are charge-based: the longer you charge them before releasing, the harder they hit. Assault Rifles are a Weapon in Mass Effect Andromeda. If you prefer to shoot while on the move while maintaining your distance, Assault Rifles will be your weapons of choice. WOULD A MOD UPDATE THIS INFORMATION. Has any one gotten the L-89 halberd? I have never seen the aax5 in any part of the game it might be released in a later dlc or patch but right now I dont think it exists. were is the avenger aax5 ?